Today, we are sharing a guest post from Joe Nickol. Joe is a Principal and Director of Urban Design and Development at the urban growth firm YARD & Company. He and his team conducted a low-cost, low-risk experiment in how existing urban spaces can accommodate new transportation technologies. Cities across the country are working to figure out dockless mobility services such as e-scooters and bikes as they pop up overnight with seemingly little to no notice. The reaction from policy makers has been varied. It has ranged from quick and overly burdensome regulations and/or impact assessments to outright bans on this new form of transportation. A commonality among rapidly growing cities is that they are open-minded to advances in innovation and technology. Dockless mobility is quickly changing the way we interact with places, just as ride sharing has done in the past, and those who are willing to adapt smartly and proactively are going to continue to grow faster than those who overly regulate and/or tax this new technology before truly understanding its impact. As we figure out the opportunities and impact of dockless technology, cities should embrace tactical problem solving. Whether it be the temporary installation of bike/scooter lanes, sharrows or parking, these interventions can and should be installed nimbly and cheaply as a way of learning what the future of our dockless infrastructure should look like. The ride data generated by dockless technology can make us much smarter around where, when, and how people want to get from point ‘A’ to point ‘B.’ This information can help us determine how and where to make smarter investments around economic development, housing, and people-centric street infrastructure. From this thinking, and over some drinks with friends, the idea of the ‘Bird Cage’ emerged. 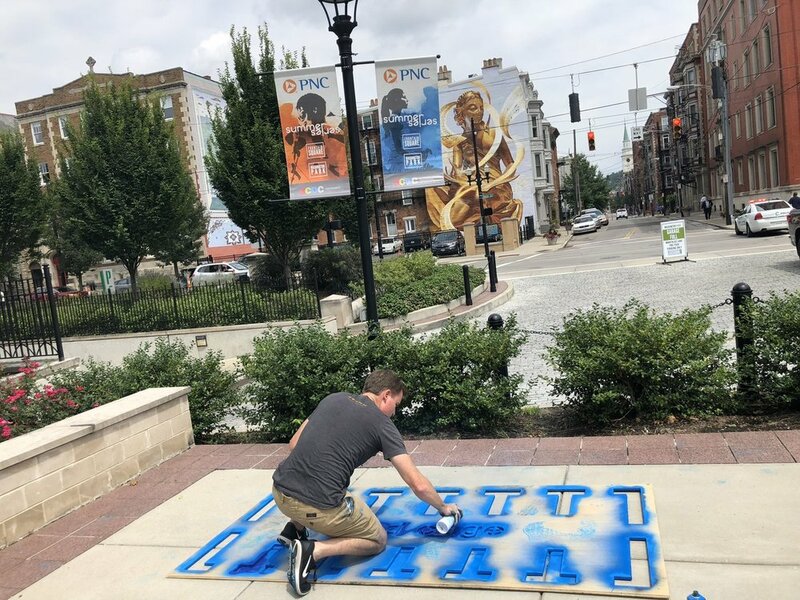 With a tiny budget and a little bit of creativity, we installed Bird Cages in public spaces around downtown Cincinnati in a matter of hours with our partners at 3CDC. The goal was to spur creative thinking around how cities can smartly adapt and grow with new technology while testing different ways to ensure that our streets are moving toward becoming more, not less, welcoming to people. Our initial effort consisted of locating the bird cages out of the way in public spaces and on wide sidewalks. (Eventually, this type of storage should go in the street, so as to reinforce the separation of wheeled vehicles from pedestrians.) We created them with a cheap 4x8 foot stencil and temporary chalk paint. This effort, in conjunction with a relatively level-headed response from the City to reach an agreement with Bird, ensured that this popular form of transportation was allowed to grow. Following the initial test of the Bird Cage, we received immediate interest from businesses and developers wanting to both organize the existing demand for scooter parking and attract new interest from passers-by. And so the network of cages expanded. Since that time, the Bird Cage template has been downloaded by people in hundreds of cities around the country who are interested in thoughtfully integrating new scooter technologies into their streets and public spaces. This methodology allows the bugs to be worked out of the system before over-spending or overthinking in an effort to solve problems that do not yet exist. We learned some nearly immediate lessons from our experiment. For instance, scooter and bike-share storage can benefit from locating next to each other to facilitate better mode transfer. Another insight is that the morning scooter deployment should not only occur where people are going but also where they are coming from. In other words, scooters and other dockless technologies should be used more intentionally to address first and last mile issues. This is particularly valuable in neighborhoods that have high levels of transit reliance with poor proximity to reliable services. Perhaps the biggest impact from this effort has been to buy time so that a gradual, deeper understanding of the real problem can unfold. Scooters invading sidewalks is, in reality, a minor issue, and one which can be addressed with a modest response such as the Bird Cage. The real problem is that we have let our streets become inhospitable to anything but cars, thereby forcing unnecessary conflicts over the tiny amount of space left over for everyone else. The Bird Cage allowed us to rapidly test a solution to the distracting issue—scooter clutter on sidewalks—before the public and the city could overreact. This way, we have a shot at all working together to focus on solving the actual problem in our streets. 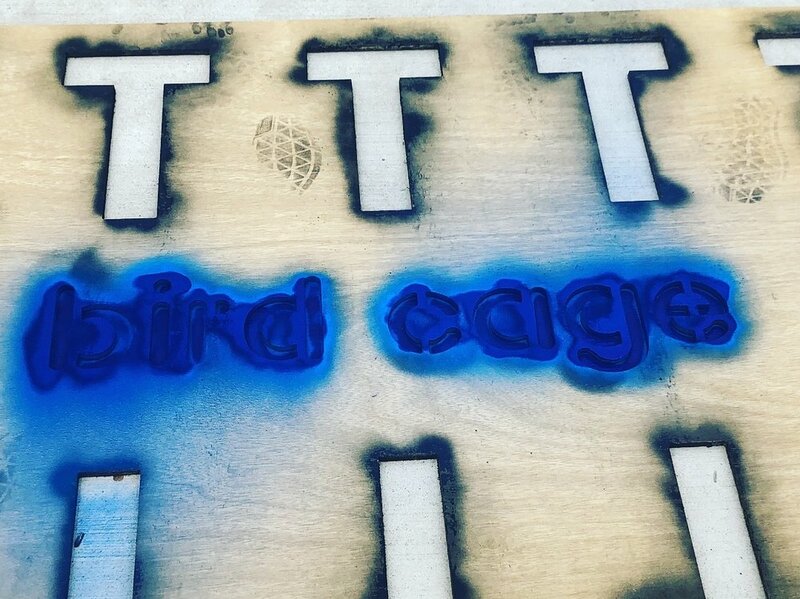 Interested in creating your own Bird Cage? Download the template file to be used with a CNC router here. Joe Nickol is a Principal and Director of Urban Design and Development at the urban growth firm YARD & Company. YARD & Company uncovers demand for extraordinary places and crafts design & development strategies for shared investment in their future. Learn more about what we are up to at www.buildwithyard.com .